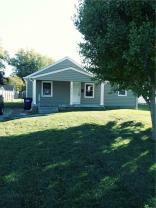 Nice setting on this spacious 3 bedroom, 1 bath Beech Grove bungalow. Outside has been updated with new roof, and siding. Large fenced yard for the kids and pets with a 13x10 storage shed. Interior needs some updating and TLC.